It’s been almost a week since mainstream media brigades descended on Sochi in search of something sordid to report. 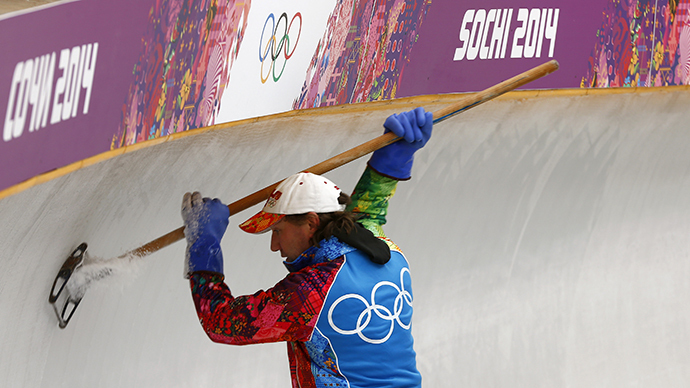 They’ve already branded the Sochi 2014 Games as the worst ever seen – and that’s even before the opening ceremony. Sports? Not really. The Games officially open on Friday night, but journalists have competed in their own Sochi 2014 moan-athon, claiming it is the worst they have ever seen. 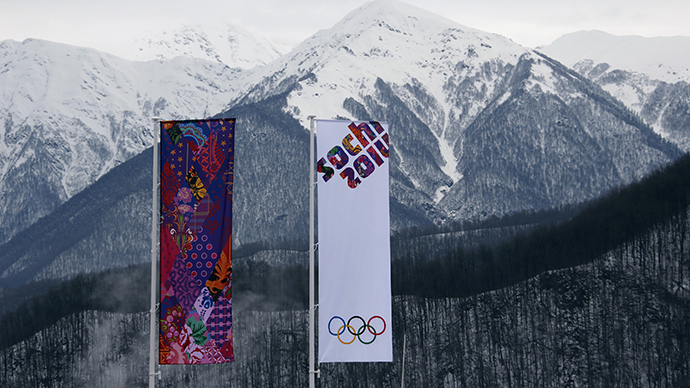 This makes the Sochi Games the fifth “worst Olympics ever” and part of an ongoing trend. 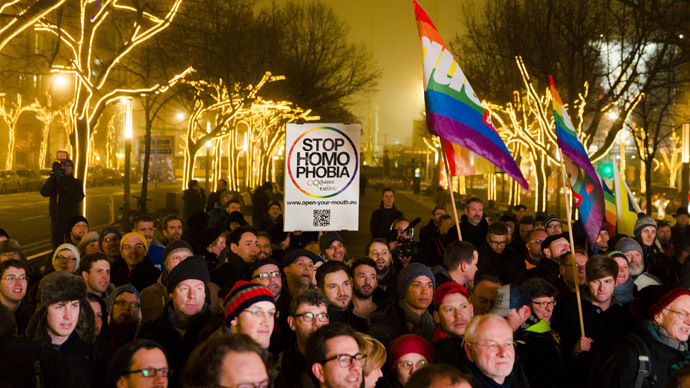 Before Sochi, London’s 2012 Games were deemed the worst ever. Two years before that, Vancouver took the prize. They followed “Worst Games Ever” pioneers Beijing (2008) and Athens (2004). The press pack never believed in Sochi. It has a subtropical climate unfit for the Winter Games. Corruption would fester. There wasn’t time to build the whole complex. All this was in addition to lax security and terror threats. Nevertheless, the Olympic village is there and in less than 24 hours, we will be watching the opening ceremony. There are, of course, flaws and problems. But what makes the Sochi Olympics “the worst” so far is…accommodation for the global media elite. Intrepid Olympic reporters, we thought, would get behind the scenes, unravel the PR. Nope. Not this time. Of global importance were rooms (if they were available), toilets, floors, and shower curtains. Oh - and a request to not flush toilet paper (it's rarely done in public toilets) had the press pack throwing up. The Washington Post’s Kathy Lally was downright disappointed with “a tiny, tiny sink” in her hotel room. But that’s not the worst that may happen to visiting journos in Sochi. Some reported missing shower curtains, lamps, and chairs, and a lack of heat or hot water (which was said to have been fixed). Still, Fox News called the “laughably bad” conditions for the global media elite “a screw over the journalists,” warning that event coverage would be just as bad. For days, news outlets and social media discussed “hotel horror stories,” regurgitating the same tweets and the same faux horror at the same time. It all began with a tweet by BBC journalist Steve Rosenberg. 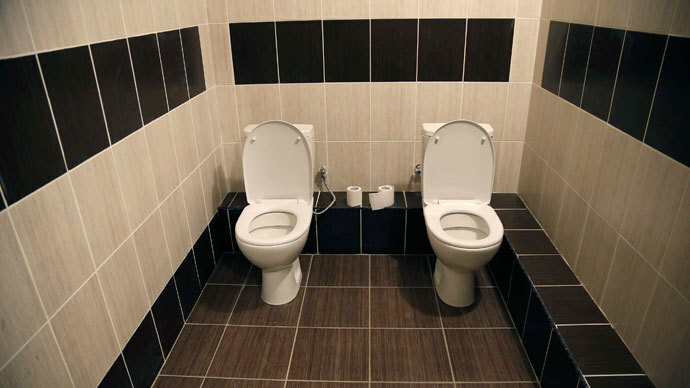 His picture of two full, sit-down toilets installed side by side, with no partition between them went viral and is now a “must have” for every Sochi hit piece. What started as a clever shot by the BBC journo sparked a wave of Sochi toilet humor now long debunked. Add some Sochi and Voila! It is also clear that anything that happens in Russia, across eight timezones, is now being immediately reported in the light of the Olympic Games. A shooting at a Moscow school? Sochi shudders. A gas-laden freight train derails and explodes in Kirov, some 500 miles (800km) northeast of Moscow? It’s a Sochi story, obviously. The only challenge was to connect those events and the Games – and while some gave it a try, others totally failed. If you think there is no connection between the Olympics and the Beslan school siege of September 2004, the 10th anniversary of which is in seven months, check CNN. They tried hard, and in contrarian style, found a link. “Amid the shrill noise of militant threats ahead of the Sochi Olympic Winter Games, the gym in Beslan is now steeped in silence, a monument to the dead, untouched almost,” read the February 5 report. This is the only mention of the Sochi Games in a pages-long report, but it is there. Readers, however, didn’t swallow the bait. Comments slammed CNN as "a filthy wretch of a media organization" for demonizing Russia with "a few pre-Olympic party cheap shots", delivering them "like spoilt little bully children": "Beslan happened September 1. Today is February 5. So why did CNN publish THIS BS journalism example about ‘ten years since.....?’ Maybe because TOMORROW is February 6 - the day the Sochi 2014 Games begin?" a top-voted comment in thread asks. "This CNN trashing Russia at it's best, just to put everyone in a good mood before the games," was another example of how readers felt. The list goes on. Yes, journos’ complaints can’t be discredited or denied (and this is not the intention). But let’s think about the situation in another way. Sochi was the biggest construction site in the world over the past seven years. Everything there - most of the hotels, sport venues, high-speed rail links, highways, 50 bridges, even the Olympic village itself - was built from scratch. “Preparations for the Games - by which I mean superficial details, the landscaping around venues, aesthetic details - are not what they should have been but pretty much as they’ve always been in the 13 Olympics I’ve covered,” Rosie DiManno, Olympics columnist for the Toronto Star, wrote. “Mounds of debris, parts of roads unpaved, mesh hoarding to hide the eyesore bits, lots of trash, unreliable power - nothing upsets journalists more than an internet that goes up and down - these have all featured in Olympics over the past three decades, as the Games have grown too big, too gaudy and too complicated,” she continued. DiManno may have been lucky to have dodged the issues missed by some of her colleagues, but she’s got a strategy on how to handle the Games.